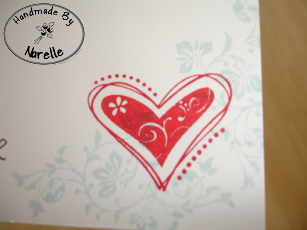 Good morning, It was a nice day yesterday here in Auckland, I had my hair highlighted and cut and of course I finished my card for this weeks sketch at Try Stampin On Tuesday. 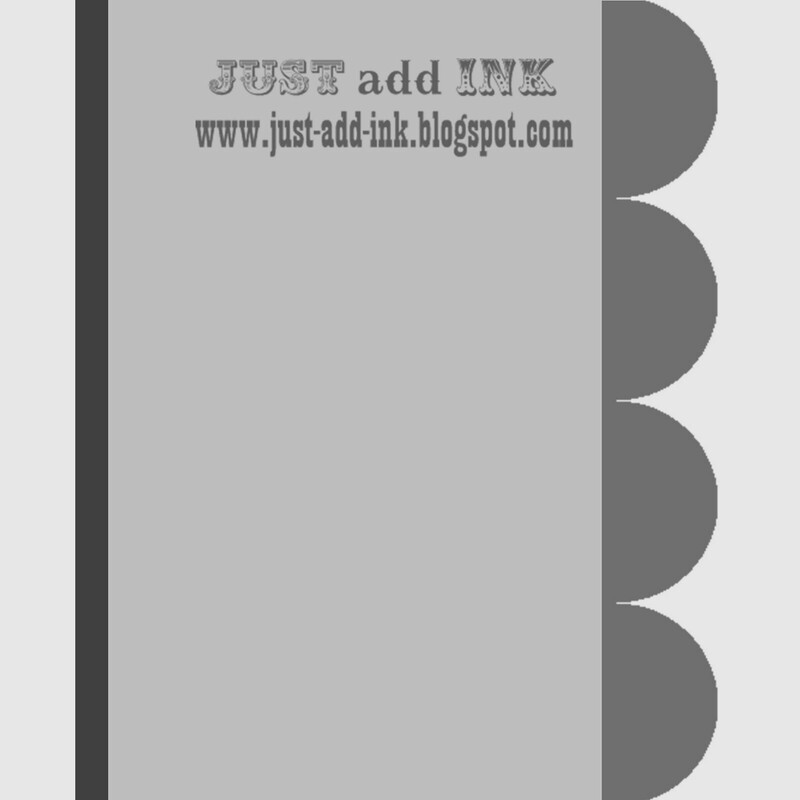 After seeing some other blogs I realised that I could also add this to this weeks challenge at Just Add Ink, as it is just add flowers. There are a few firsts here for me like colouring ribbon, i couldn’t believe how easy it was, and it is a great way to get that colour you want if SU doesn’t make it. I used my brayer as it goes on so easy and fast, I then but it on the window sill to dry for about an hour. 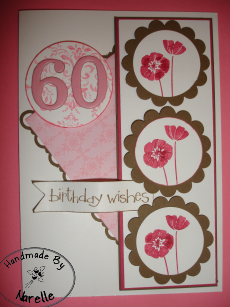 The other first I did was colour white paper flowers, this was also very easy and convenient as I didn’t have any in these colours. I just used the thick end of my marker and coloured them in. These also need time to dry. 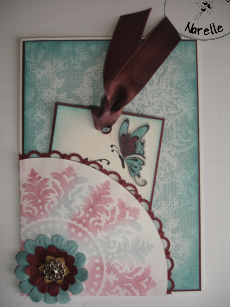 Bookmark: can you see the Vellum on the butterfly, in real life this looks really pretty. I wanted something special on the bookmark but it couldn’t be bulky so this is what I came up with. 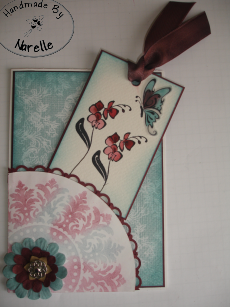 Of course I didn’t want a plain look when you removed the bookmark so I placed a simple sentiment on the base. Sorry for the long post, have a great Sunday we are off to see a stage show called Cinderella today. And of course it is the last day of the holidays Yay. Good evening, this is a very late post for me but if I left it till the morning then I would miss out on this weeks Just Add Ink challenge. 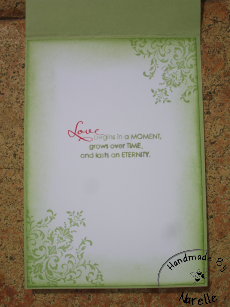 I have chosen to combine two challenges this week, they are Just Add inks…. Just add Colour Combination and Mojo Monday #177. I have my mother in laws birthday coming up later this month and thought these two challenges was perfect for the occasion. These are colours I would not normally put together but I like the result. All stamp sets I have used are from this years SAB. Sorry for the rushed post but it is past my bed time so here is my card. Sorry about the photos the lighting inside a this time of night is terrible. Just one more photo and nothing to do with cards but I just had to share this. 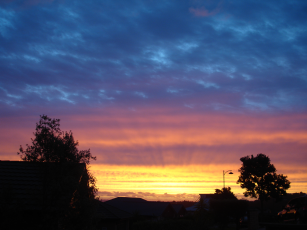 This is tonight’s sunset outside my house, isn’t it just beautiful, the colours are simply stunning. On that note have a great evening. On Saturday it was my 6th Wedding Anniversary. Although it was a very busy day we both had a good day. It started with myself going to my up lines house for a beautiful breakfast which I will blog about tomorrow, then we headed to Hamilton for my family’s Christmas celebration. That was so much fun and the kids had a great time too. Later that evening we attended one of my husbands friends engagement party for a few hours, so as you can see it was full on but very enjoyable. The card I made Nick also fits in with this weeks Just Add Ink Challenge so I thought I might as well give it a go. The sketch isn’t quite perfect but it does have all the right shapes and basic layout. 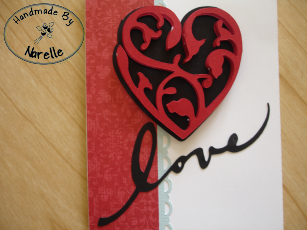 The heart was cut out on the Cricut Machine. Dont forget to check out the other entries here.. This week on Just add ink, is Just add Critters. 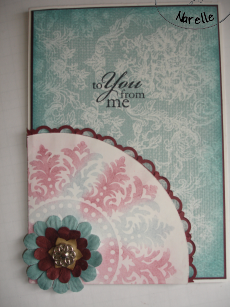 I have cased this card, sorry I have no idea who’s it is, so if it is yours please take credit and write a comment. I have changed a few things but the layout is the same give or take. I have sponged around the top note using the same colour ink just to give it a darker outside edge. 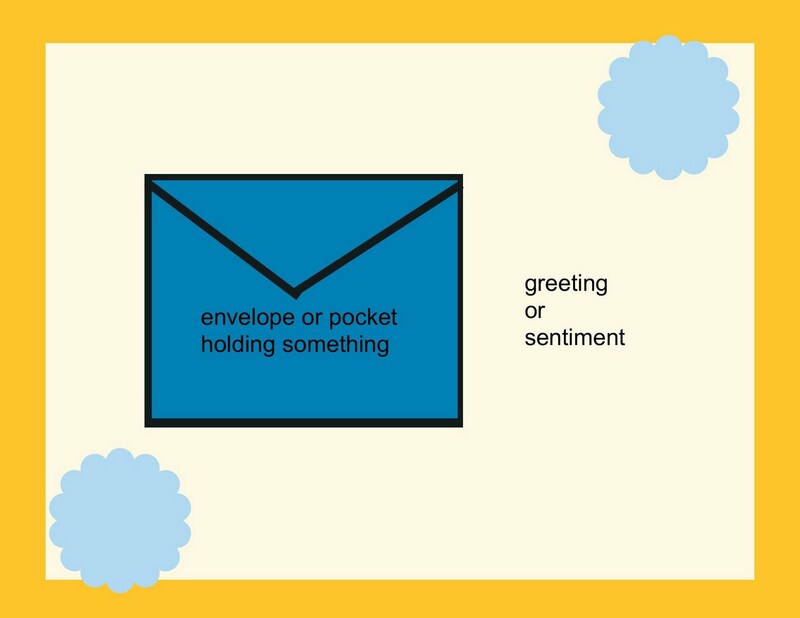 This morning I had a lovely friend over for a few hours and we made some cards together, well I made one and Julia made a few, but it is so much nicer having someone to discuss ideas with and not just talking to the card stock, which of course doesn’t seem to talk back. 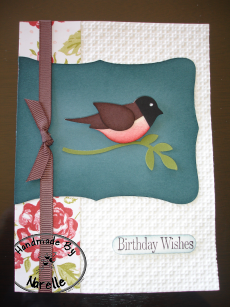 Anyway I made this card for this weeks Just Add Ink #43 and also this weeks Clean and Simple Challenge #116. 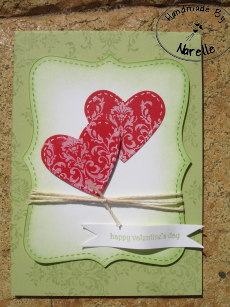 If I was to do this again I would do the card smaller so there wasn’t as much open space. The trees are stamped in VersaMark then clear embossed. the the stars or snow flakes are VersaMarked then embossed with a mix of Dazzling Daimonds and Clear embossing powder. 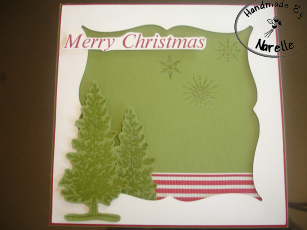 The shape is cut out on my cricut using the new and limited release, Christmas Cards cartridge, and is placed on dimensionals. 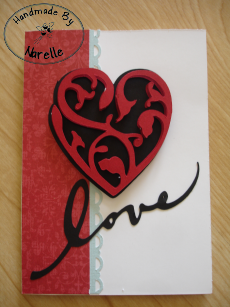 The ribbon is one of the free ones that Stampin Up are offering at the moment. Well yesterday was one of those days, for some reason my computer has not wanted to work all day but now it is, so pass I have no idea what’s going on, I just hope it lets me get through this blog. 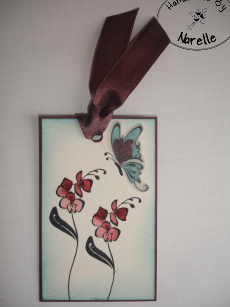 For the background I have stamped in Close to Cocoa but stamped on a scrap piece of paper first it was lighter again. 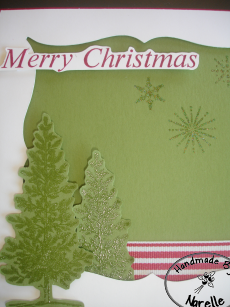 I have used twine to go around the tree and some Chocolate Chip ribbon for around the card. 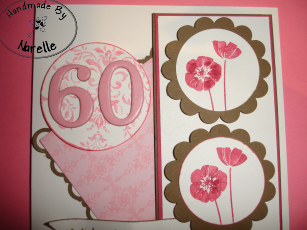 Inside I have used the stamps from the level 3 hostess set called Occasional Quotes, I just love that stamp set. 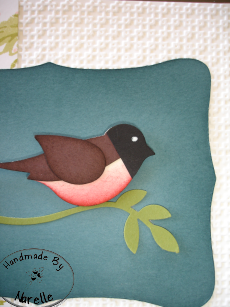 Tomorrow I have one of four scrapbook pages to share with you that I made on Saturday.